The college application process is not only stressful for students, but also for the college administrators and enrollment directors who participate. Adding to the issues is a high level of individualization in application policies between various schools. While efforts are often made to streamline the process, most colleges have to figure out what works for them and their students. This can leave administrators frazzled, especially as they sort through hundreds or even thousands of applications each year. But there is a way that college admins can make the workload easier using workflow management and checklist. Most colleges in the U.S. struggle with enrollment, whether in terms of the number of applicants or the processes involved with the enrollment process. According to key findings from a 2017 Survey of College and University Admissions Directors, only 34% of colleges had met their enrollment target as of May 2017. That number is lower than results from the 2016 survey that indicated that 37% had met their goal. Many college administrators involved with the student enrollment process is to boost enrollment rates without adding effort to the process for students or staff. Studies show that reversing even a 7% drop in enrollment rates can create more than $2 million in additional revenue. Yet, many colleges struggle to keep up with an ever decreasing drop in enrollment. For many institutions, these issues are compounded by the fact that there is no universally accepted enrollment process. Every college is unique. Because there is no set standard for how to enroll, most college-seeking students must spend time researching how to best apply, which can add time to the application process. Admins, too, may end up taking additional steps in the research process when determining who to accept. When you’re sorting through thousands of applications, an extra step can eat into your already valuable time. That can be a lot of information for just one student, let alone hundreds or thousands. Again, not everything included is universally accepted in the application process, however. For example, some schools may not bother reading disciplinary history. Other colleges might require several teacher recommendations, while others might only need one or two. Goucher College, for instance, additionally asks students to submit a two-minute video along with their application, as well as examples of graded school work. They don’t require test scores or high school transcripts. Bennington College, as another example, allows applicants design their own application, and, like Goucher, doesn’t require student transcripts. Some colleges take the additional step of checking student’s social media as a determining factor for acceptance or rejection. Harvard University received some backlash for revoking the acceptances of 10 applicants in 2017 based on their social media profiles, which depicted jokes at Harvard’s expense. With these constantly changing standards, it can be difficult on the staff that process applications. Extra time spent reading a custom application, or checking social media for appropriate (or inappropriate) content, or simply watching a two-minute video can add to the time spent. It can also be difficult to know exactly what’s involved with the process, what’s been completed and what’s left to be done without a formal system or organize the enrollment process. A lack of organization can mean that vital components might be missed or otherwise ignored, which could potentially reduce enrollment rates further. So what can admins do to make sure that they stay organized during the enrollment process, even with so many varied elements involved? One solution is to use checklists to organize the enrollment workflow. 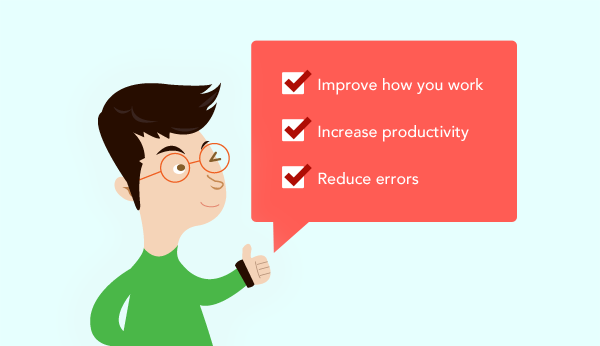 Philip Crawford, a former management consultant, believes that checklists are one of the best answers to the problem of disorganized workflows. He adds that checklists not only create more organization, but they also add to motivation (our natural response to checking a box is to keep checking boxes and completing tasks) and productivity. So how do you incorporate checklists into the enrollment process? One way to do this is by using a workflow management system to track the enrollment process from start to finish. Workflow automation tools, like our Gravity Flow WordPress plugin, for example, can help college admins manage processes like application enrollment, email notifications and so on. 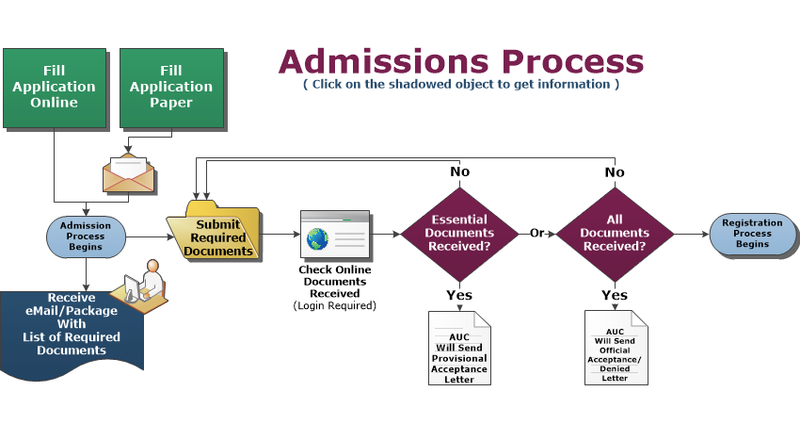 This is a visual representation of the steps involved for processing applications. Each of those steps can easily be represented within a checklist in a way that actively marks each step as completed or incomplete. The Gravity Flow Checklists Extension is a great tool for adding checklists to any Gravity Flow workflow or flowchart quickly and easily. You can turn a flowchart that looks like the above example into an interactive checklist like this that can be displayed in any page in WordPress. Considering that the enrollment and application process can be incredibly individualized and time consuming for admins — and considering how important the results of that enrollment processes are not only to the students who depend on them and the financial status of the college itself — staying organized is essential. 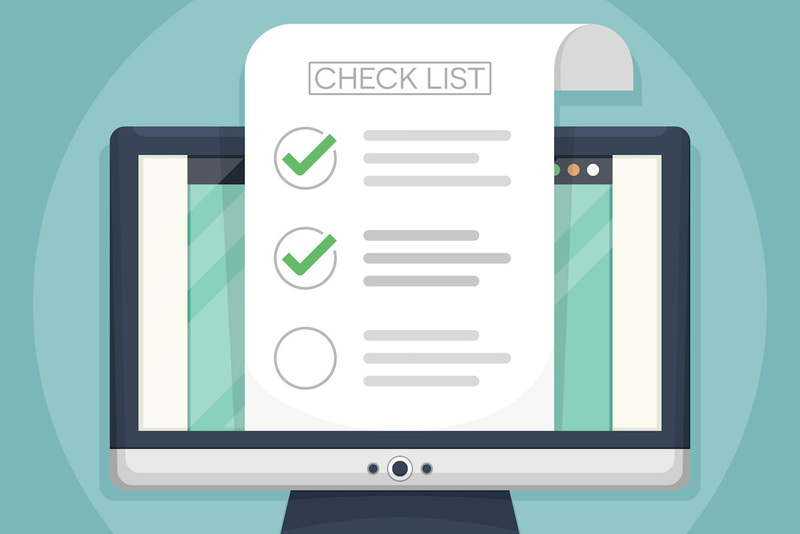 Checklists, as Philip Crawford points out, are invaluable to any college that deals with repetitive (yet important) tasks, like student enrollment. College administrators and admissions directors have one of the hardest jobs when it comes to accepting, processing and deciding who gets to enroll into a given institution. Most are administrators and directors are judged on whether they can improve enrollment rates, which, in turn, improves funding for the school. Part of the challenge for administrators is staying organized amidst the varying requirements for each college’s unique enrollment process. One of the best ways to do that is by using checklists to clearly organize complicated enrollment workflows in a way that every member of the college staff can understand so that no important details are missed. If you want to learn more about Gravity Flow’s workflow solutions or the Checklists extension, be sure to check out our documentation here or read testimonials from colleges and other organizations who use Gravity Flow here. Here are a few essential tips for college administrators and directors looking to save time during enrollment. Subscribe to get this free resource.